The Ronald Regan State Building in downtown Los Angeles. Photo by John Schreiber. 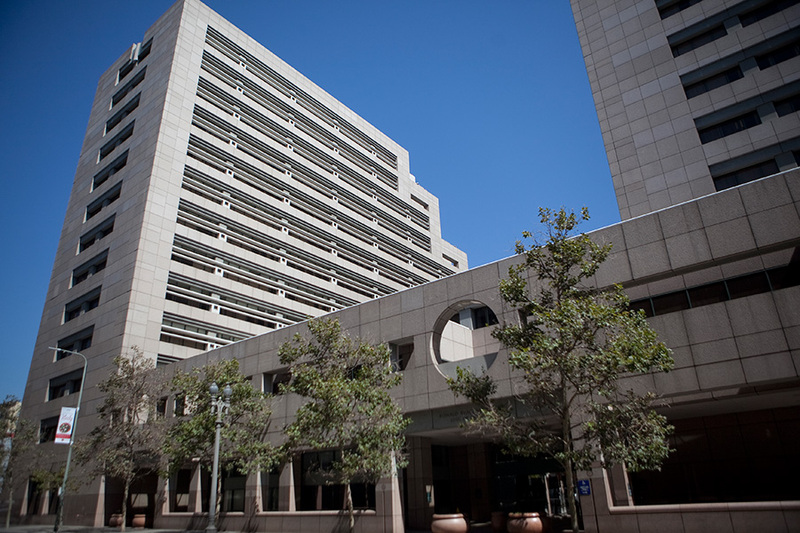 A three-justice appellate panel on Monday affirmed a second-degree murder conviction that landed an ex-Los Angeles Fire Department captain in prison for 15 years to life. 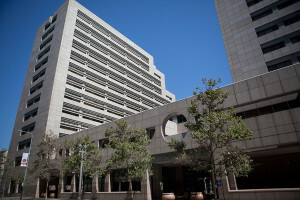 One of the justices from California’s 2nd District Court of Appeal concurred only in part and noted in his dissent that he would have remanded the case back to the lower court and given the defendant an opportunity to file a motion for a new trial based on potential juror misconduct. David Del Toro, 58, was convicted of beating and strangling 42-year-old Jennifer Flores at his Eagle Rock home on Aug. 16, 2006, and dumping her battered body, dressed only in a torn T-shirt and a bra, about a mile away. Flores, who had known Del Toro for years, had been sleeping in her car and came to stay the night at the firefighter’s home. The two drank lots of tequila and ended up fighting, according to trial testimony. A prosecutor told jurors that when Flores rejected Del Toro’s sexual advances, he broke her nose, jaw and ribs and choked her to death, then dragged her body from his pickup truck through the neighborhood to where her corpse was discovered. Del Toro, who denied any sexual advances, said he never hit Flores and fell asleep after drinking. He testified that another man stopped by the house earlier that night. Defense attorneys argued in their appeal that the trial court erred in admitting evidence of prior domestic violence and the fact that Del Toro had attended domestic violence and alcohol abuse classes. A woman who testified that she had a romantic relationship with the firefighter said Del Toro assaulted her several times, including hitting her with a coat hanger and putting his hands around her neck and telling her it would be easy to snap it. The appellate justices disagreed as to whether that testimony should have been allowed, but agreed that excluding it would not have changed the jury’s verdict. In the lead opinion, Justice Fred Woods cited rulings in the Phil Spector murder case in concluding that the ex-girlfriend’s testimony was admissible. Woods argued that the assaults the woman alleged shared key characteristics with the attack on Flores. Justice Dennis M. Perluss disagreed, but concluded that “the physical evidence linking Del Toro to Flores’s death was overwhelming” and the testimony had done no harm. Officers traced tire tracks that led from Flores’s body in the middle of Loleta Avenue all the way back to Del Toro’s home, where they discovered blood in the bed and wheel well of a Toyota truck in the driveway, even though the area had recently been hosed down. A rope matching the one found by the victim’s body was also found in the driveway. Del Toro answered the door wearing only his underwear. Inside, the officers said they found more blood and evidence of efforts to clean up the scene. A separate issue raised on appeal was possible juror misconduct. The defense had moved for a new trial, arguing that the jurors may have received outside information about sentencing that influenced the verdict. Ito reached out to the jurors directly to investigate, and he subsequently denied the motion.